Whatever you use as your base – milk, yogurt, coconut milk, or juice. Put it ice cube trays and freeze it. 1/4 of a cup can be nicely divided into 3 cubes (4 tsp each). Not only is it nicely measured, but by freezing your base you get that nice smoothie texture – not thick juice. I take over-ripe bananas, peel them, and break them off into chunks and freeze them. Frozen bananas add a great texture (keep in mind that while bananas add sweetness, they are also a strong flavor, so don’t use too much if you don’t want the banana flavor). Again, using frozen items will ensure a lovely texture and not thick juice and you won’t have to rely on large amounts of ice. Freeze your fresh fruit! Or use half frozen, half fresh fruit combination. 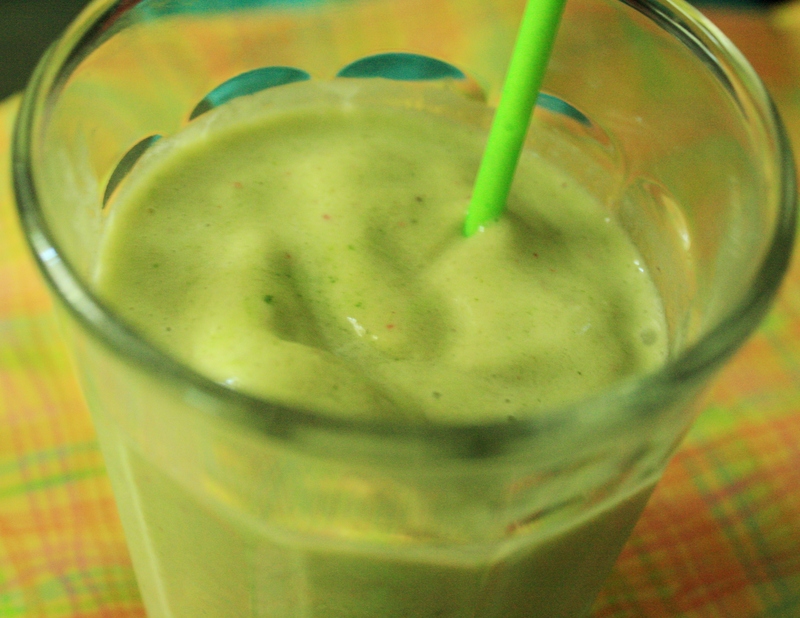 If you like green smoothies, blend your greens with a little liquid and add into ice cubes as well. If all or most of your smoothie ingredients are frozen, you only need a little water to blend it all together. I’ve found that 1/4 of a cup is usually the right amount when I’m making my own smoothie, but everyone has different preferences. Don’t add all the liquid at once – gradually add until you reach your desired consistency. This recipe can easily be made with milk (whole milk the less processed the better) or without. Blend completely – adding more liquid if needed.